For all the aspiring OSRS entrepreneurs looking for the next hustle, we've got you covered. 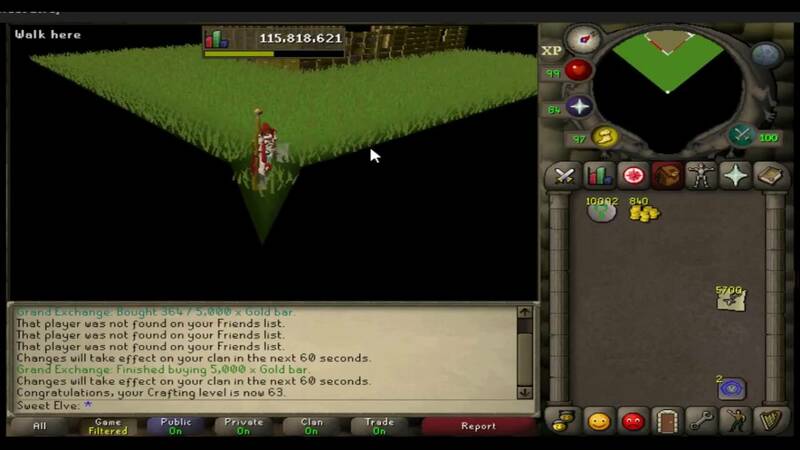 Whether you're new to OSRS or you're a long-time Runescape player returning from a hiatus, you may feel overwhelmed logging into the game. OSRS plays a lot differently than Runescape3 and OSRS money making methods are entirely different. 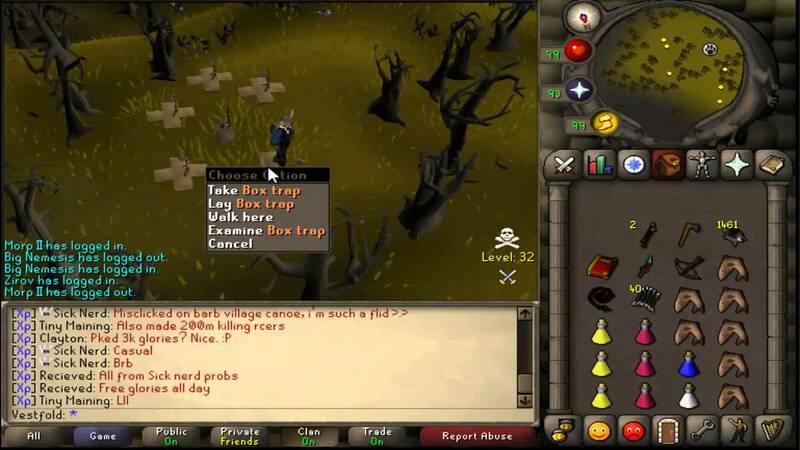 This article is going to cover the best ways to make money in Old School Runescape. 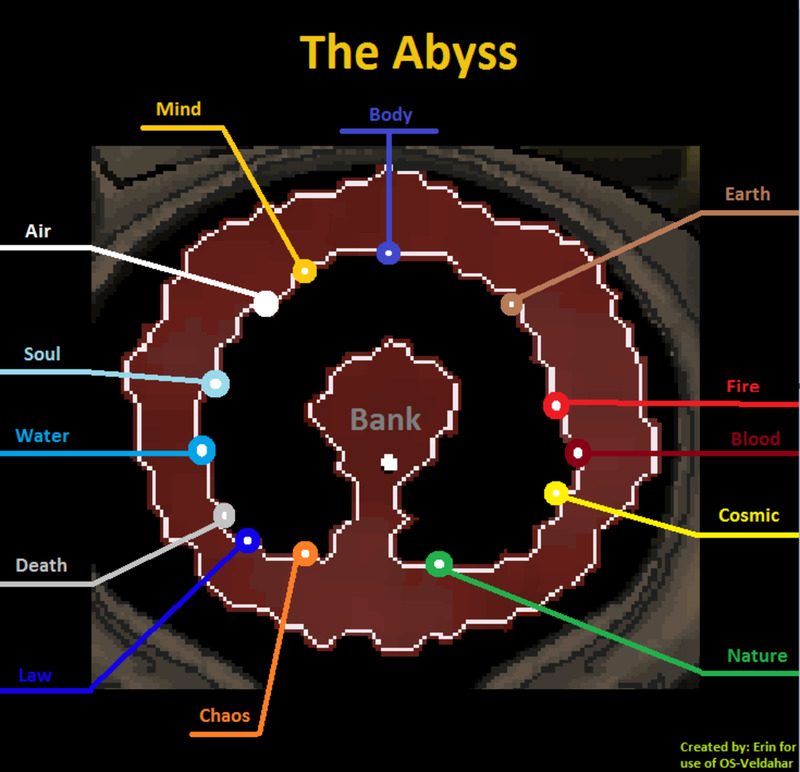 This is a comprehensive OSRS money making guide that will include ways to make money for low-levels, high-levels, and for accounts somewhere in between. Leveling up your skills is one of the most time-consuming tasks in Runescape. That being said, skilling is one of the most profitable OSRS money making methods because of the doors it opens up for you. The most profitable skills tend to be the skills that are more difficult to achieve high levels in, so it's important to use your skilling time wisely. With skills like Farming, Slayer, Hunter, Thieving, and Runecrafting, you'll be able to earn easy millions at high levels. Woodcutting, Fishing, and Mining are all also solid choices that will earn you a steady income, but they're highly competitive and popular. If you're playing on a member's world, you'll usually find it a lot easier to skill because you won't be interrupted by as many players. On non-member's worlds, trees and mines are often crowded with players. You can definitely choose to skill on a non-member's world, but you may want to take into consideration how many people are logged into the world before starting your training session. 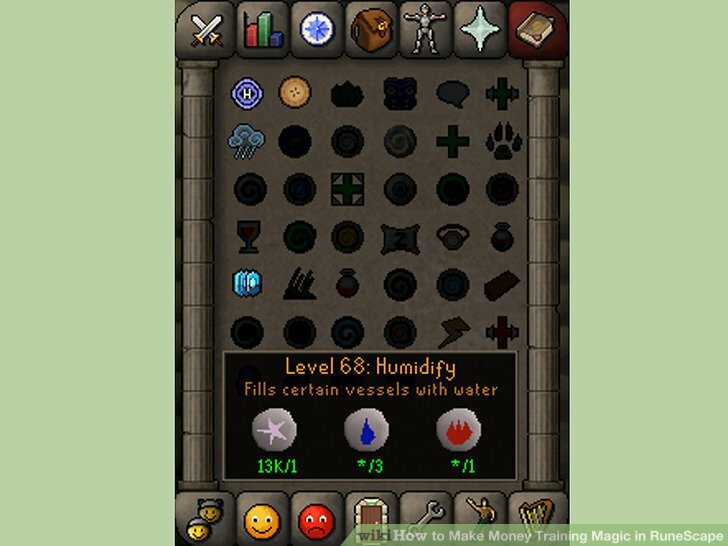 Leveling up your skills and selling fish, ore, logs, runes, herbs, and anything else your gather on the Grand Exchange is one of the most common ways to earn money in Old School Runescape. As you level up, you'll be able to fish, mine, craft, and chop better items and sell them for more money. Chickens are perfect if you are low-level and want to train combat while making some money. It's impossible to be killed by a chicken in OSRS, so don't worry about bringing food or equipping yourself with anything specific. Chickens drop feathers, bones, and raw chicken. All of these items are worth enough to justify running to the bank if you're in need of money. Feathers are used for fly-fishing and players are always willing to pay for bones to level up their Prayer. Feathers stack in one inventory slot, but bones and raw chickens will take up one slot per item, so you'll end up running to the bank often. The best place to kill chickens is across the bridge from Lumbridge Castle and up the path to the north. The chicken coop will be on the left, across from a potato field. The Stronghold of Security was implemented to help players learn about how to keep their account information safe. You'll encounter four levels of this dungeon and each one will have a small reward at the end for completing it: 10k, a few emotes, and some boots. The monsters you'll find on each level will sequentially grow higher in combat level and most of them are aggressive. You can run through the Stronghold of Security at level three, but it's possible to be killed in one or two hits by the high-level Ankous at the end of the stronghold. It's recommended to get your hitpoints level to around 15 before attempting to complete the Stronghold of Security, but you don't have to. If your combat level is under 50, grab most of an inventory of food before attempting this. You'll need a couple of spaces free for your rewards. Enter the Stronghold of Security through a hole in the ground in the center of Barbarian Village. If you don't have an easy way to gather food before entering, try asking other players fishing by the nearby river for any cooked fish they have. Many of these players are leveling up their Fishing and Cooking levels and don't want to run to the bank or drop their fish individually, so you're actually doing them a favor by taking the fish off their hands. You can buy Gold Bars from the Grand Exchange, craft Gold Amulets out of them, and sell them again for profit. As with all methods of flipping on OSRS, make sure you check the current prices of Gold Bars and Gold Amulets before buying the bars. You'll net a profit and train your Crafting level at the same time. You'll probably want to be able to buy a few hundred Gold Bars to start making money using this method, so you'll need around 100k to begin. 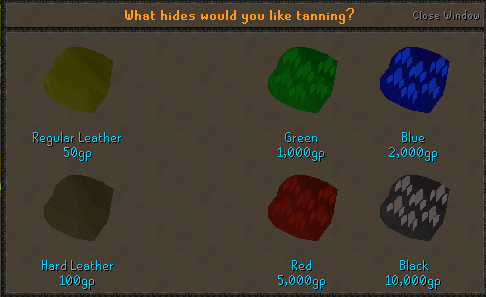 You can make over 400k an hour by tanning green and blue dragonhides and selling them on the Grand Exchange. 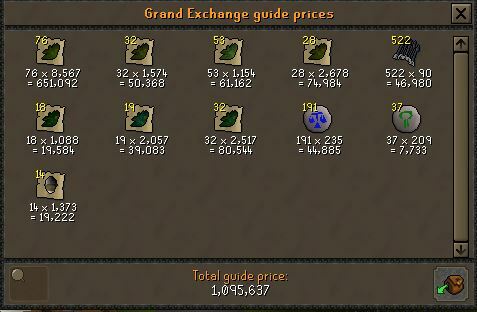 Purchase a large number of Green Dragonhides or Blue Dragonhides from the Grand Exchange. Then, head over to Al Kharid and get them tanned. You'll be running from the bank to the tanner until all of your hides are tanned. 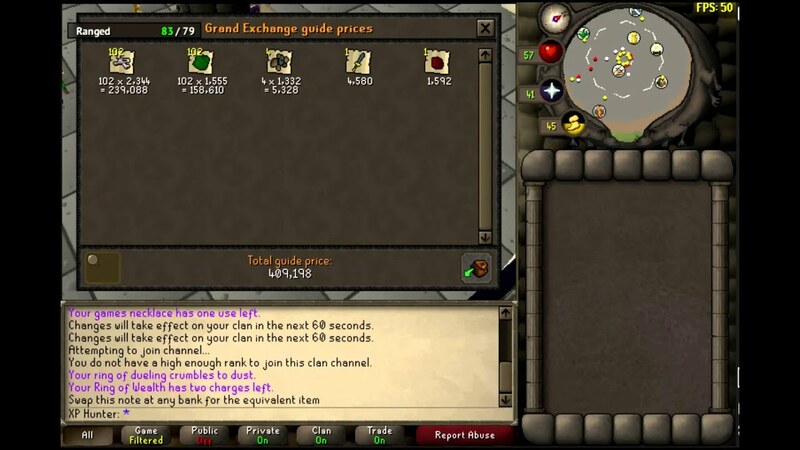 Sell the Dragon Leather on the Grand Exchange for a profit. You should have several million OSRS gold before using this method because buying enough Dragonhides to spend a few hours tanning will cost a lot. Before buying your materials, check the Grand Exchange to make sure this method will be profitable for you. You can typically expect about 300k an hour from enchanting sapphire rings. Buy sapphire rings and cosmic runes in bulk and buy a Staff of Water. Cast the spell "Lvl-1 Enchant" on each ring and bank the Rings of Recoil you receive. Sell them all once you're finished enchanting for a profit. This is also a great way to raise your Magic level if you need to train it. Get your Mining level to 15 by mining Copper and Tin, then mine Iron Ore and sell it on the Grand Exchange. You can make over 100k mining Iron Ore if you're efficient. 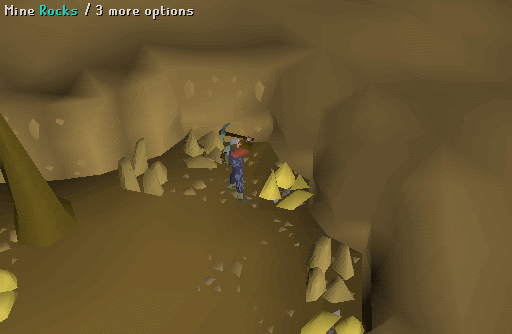 To get the most ore per hour, members should use the Monastery Mine and non-members should try the East and West Varrock mines. Use the best pickaxe that your level will allow - when you upgrade your pickaxe, you'll mine ore quicker. If you're a member using the Monastery Mine, get the Ardougne Cloak from the Ardougne Achievement Diaries to get infinite teleports to the Monastery. When your inventory is full, the southern Ardougne bank is a short run away. 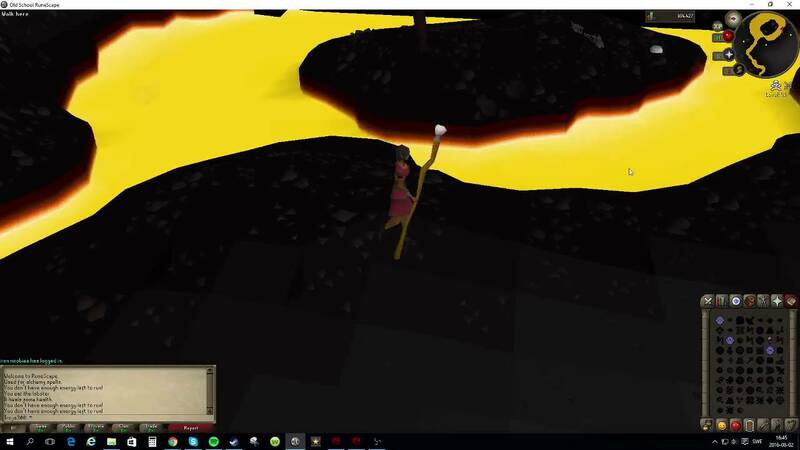 For members opting to use the Varrock mines, completing the Varrock easy tasks will earn you Varrock Armor 1, which will give you a 10% chance of mining 2 Iron Ore at once in Varrock. Fighting Green Dragons can make you up to around 400k an hour and is a good way for members and non-members to train their combat skills. Green Dragons have a 100% chance to drop both Dragon Bones and a Green Dragonhide. Dragon Bones will net you a few thousand per bone. Green Dragonhides are always in high demand for Crafting. The dragons will also occasionally drop valuable runes and Rune items that you can sell. The most convenient location to fight Green Dragons is in level 9-11 Wilderness, Northwest of Edgeville. 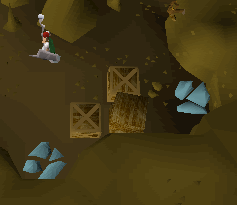 Don't forget to take teleport runes or a teleport tab with you when you go - PKers routinely stalk this area, so you'll want to have access to a quick escape if necessary. You'll need an Anti-dragon shield, which you can usually buy cheap from the Grand Exchange. Green Dragons are combat level 79. They are weak to stab and Ranged, so it's recommended to use a Ranged weapon or a melee weapon with a high stab bonus, like a scimitar, an Abyssal Whip, or an Abyssal Dagger. If your Defence level is 70 or below, wear plate armor. If it is above 70, you can wear Dragonhide. The higher your Thieving level, the more successful you'll be at this method. You'll need 38 Thieving and some food. 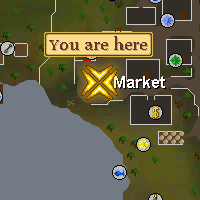 Head to Draynor Village for the easiest access to a bank. The Master Farmer in Draynor is a quest NPC who you can talk to, so you'll need to right-click on him to pickpocket him. This can get annoying, so you might prefer to use the Master Farmer North of Ardougne instead. He is a little farther away from the bank, but you can simply click on him to pickpocket him. You can generally make 100-300k per hour pickpocketing Master Farmers, depending on how high your Thieving level is and what seeds you pickpocket. 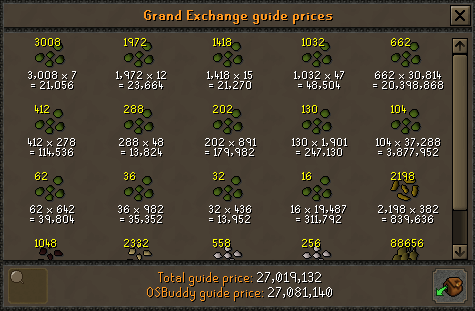 A lot of the seeds will be relatively worthless and you should drop them to save trips to the bank, but many of them sell for a lot on the Grand Exchange. Keep an eye out for these seeds in particular. 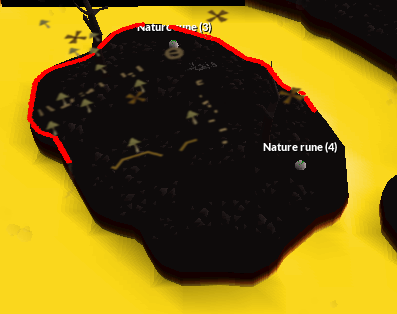 Southeast of the Demonic Ruins in the Wilderness, there is a lava-surrounded island with two Nature Rune spawn points. By using the level-33 spell "Telekenetic Grab", you can gather the runes. Take a teleport tab with you as well as food and Prayer Potions in case you get attacked. 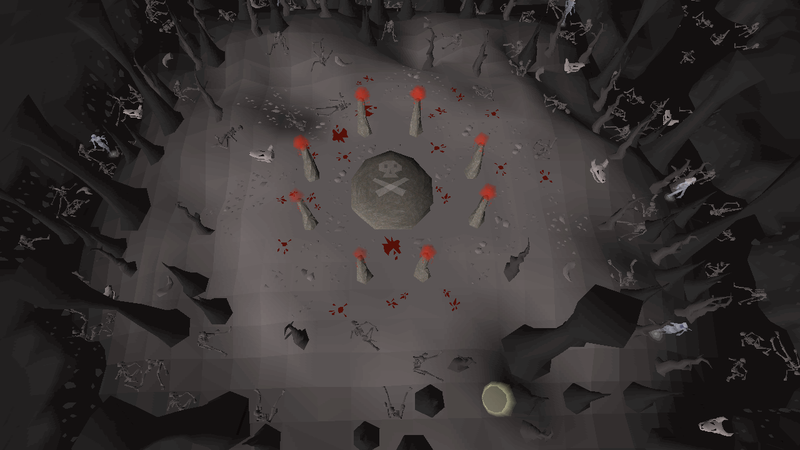 Kill Chaos Druids in the Taverly Dungeon or the Edgeville Dungeon and sell the herbs, runes, and bolts they drop. 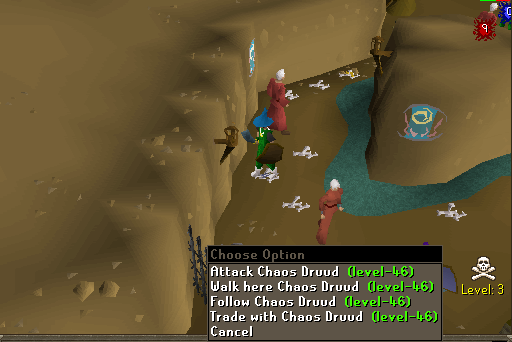 Training on Chaos Druids is a fun and easy way to raise our combat level and earn OSRS GP at the same time. Filling up your inventory will take 10-20 minutes depending on your level. You'll get more herbs than any other kind of drop - keep all of the herbs above Ranarr to sell on the Grand Exchange. Note that the Chaos Druids in the Edgeville Dungeon are in the Wilderness, so bring teleport runes if you plan to use that location. You can easily make up to 200k per hour killing Chaos Druids. Using the Blast Furnace minigame, you can smelt bars that require coal with half as much coal as usual. Steel bars typically require two coal, so at the Blast Furnace, they only require one. First, hop over to a Blast Furnace world (352, 358, 386, or 387). Then, stock up on Coal, Iron Ore, and Stamina Potions and have 72k in cash on hand to fund the Blast Furnace coffer for an hour. If you have Ice Gloves, wear those. When you get to the Blast Furnace, put your Iron Ore on the belt and then empty your bag of Coal. If you're wearing Ice Gloves, grab your Steel Bars from the bar dispenser. If not, use a bucket of water on it before collecting the bars. Repeat the process the coffer is empty or until you run out of ore. You can earn between 350-530k an hour as well as around 70k smithing exp using this method, which is a lot more than smelting Steel Bars at a regular furnace. You can raise your Magic level for free and even earn money with the High Alchemy spell. 55 Magic is relatively easy to achieve and you can profit by finding or crafting items to alch that will net you more than the cost of the item and the runes for the spell. Some of the most popular items to alch are Yew Longbows, Magic Longbows, Green D'hide Bodies, Rune items, and Adamant items. Prices in Old School Runescape vary hourly, so you'll need to look up the cost of any item you're considering before buying it. Then factor in the current cost of one Nature Rune and five Fire Runes per item. The remainder will be pure profit. As an added bonus, High Alchemy is one of the most efficient ways to raise your Magic level. Hunting Black Chinchompas in the Wilderness can net you around 125k Hunter experience and 750k coins an hour. You'll find Black Chinchompas in level 32 Wilderness and you will need 73 Hunter to catch them. Try killing one when you arrive to see where it will respawn, then set your traps near the spawn point. Keep an eye out for PKers. You can expect to run into a few PKers each time you go Chinchompa hunting, so bring Prayer Potions, food, and a teleport tab. Depending on the rune you are crafting, you can expect to make upwards of 900k an hour crafting runes in the Abyss. Start in the Edgeville bank and run North, to the Mage of Zamorak. Have him teleport you to the Abyss. Use your pickaxe to mine through to the inner part of the Abyss and find the portal that matches the rune you want to craft. When you're finished crafting, go back to Edgeville to bank. You can probably make about 50 runs an hour by utilizing Amulets of Glory to teleport back to Edgeville after crafting your runes. To make the most money Runecrafting, you'll need to have a high enough Runecrafting level to make two or more runes for each essence you use. Each type of rune has its own level requirement to make multiple runes with one essence. Runite ore is used to create Rune armor and weapons. 85 Mining takes hundreds of hours to accomplish, and not many players have acheieved such a feat. 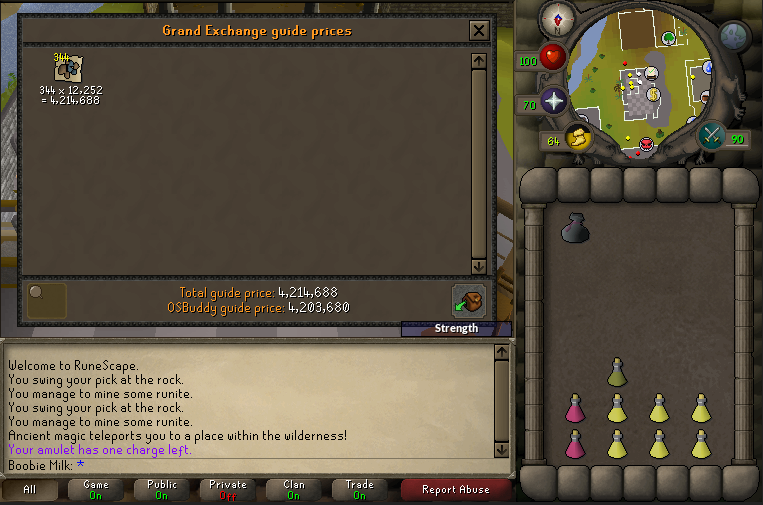 As a result, Runite ore commands a tidy sum on the Grand Exchange. Each ore will generally net you around 10k or more. 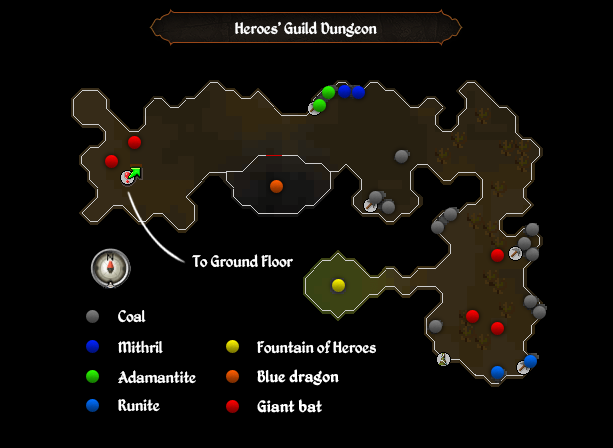 You'll need travel to one of the Runite ore mining locations: the Hero's Guild mine or one of the Wilderness Runite mining locations. Mine the ore and hop worlds until you encounter another rock with ore in it. If you're using one of the Wilderness locations, be wary of PKers and bring food, a teleport, and a looting bag if you have one. You can make over 500k an hour and raise your Magic level at the same time by humidifying Clay. Humidifying Clay is quick and easy and there is a high demand for clay from players leveling their Crafting and Construction levels. Equip your Steam Battlestaff and withdraw your Astral Runes and 27 Clay. Cast "Humidify" to turn the entire inventory into Soft Clay. Repeat and sell the Soft Clay for a significant profit. Magic Logs are always in demand for players leveling up their Fletching skill and you can cut them once you get to level 75 Woodcutting. 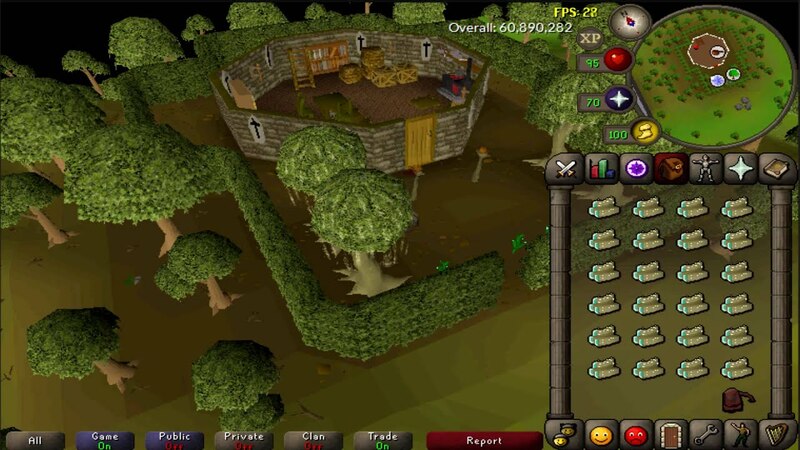 The best place to cut Magic Logs is the Woodcutting Guild in Great Kourend and you'll need 75% favor with the Hosidius House to access it. The bank is only a few steps away, so you'll be able to gather more logs here than any other location. Magic trees also grow outside of the Mage Training Arena and near Seer's Village, outside of the Sorcerer's Tower. The higher your Woodcutting skill, the quicker you'll chop down Magic trees and the more money you'll make with this method. You can generally make around or over 100k an hour by chopping Magic Logs. Copyright © 2019 PieGP. All Rights Reserved. Enter a password to complete your account registration and checkout instantly!